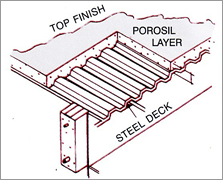 POROSIL is a light weight insulating aggregate insulation which is to be mixed with cement. It protects the building from the intensity of direct solar heat and lowers the room temperature by a minimum 6-8 degree and makes the covered area very pleasant. This product brings you to a new, simplified and cost effective solution for keeping building permanently cool structures as per your satisfaction. 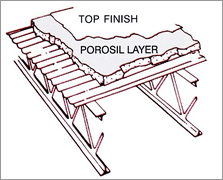 POROSIL is to be mixed with cement in the proportion of 2 bags of POROSIL and 1 bag of cement requisite water is then to be added to the dry mixture. 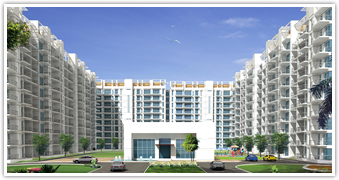 The surface where it is to be applied should be free from dust particles, stones etc. 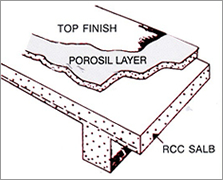 The mixture should be laid over the RCC slab in required thickness without applying external pressure. Water curing is required twice a day in winters and thrice a day in summers for 4 to 6 days. #Considering rate of heat transmission U value = 0.47 BTU/(Hr)(0F)(Ft) 2 for 4" (100 mm) thick RCC slab. Maximum oven dry density 480 kg per cu.mtr. 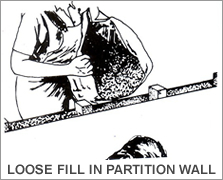 POROSIL to be poured from the bag into the cavity of concrete block wall directly. 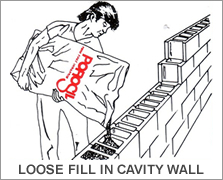 #Considering rate of heat transmission U value = 0.40 BTU/(Hr)(°F)(Ft2) for 9" thick hollow block wall. #Considering rate of heat transmission U value = 0.58 BTU/(Hr)(0F)(Ft2) for A. C. Roof sheet of Industrial Building. 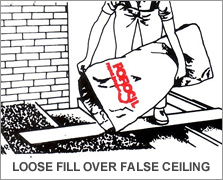 Copyright © 2013 Porosil Insulation Pvt. Ltd.